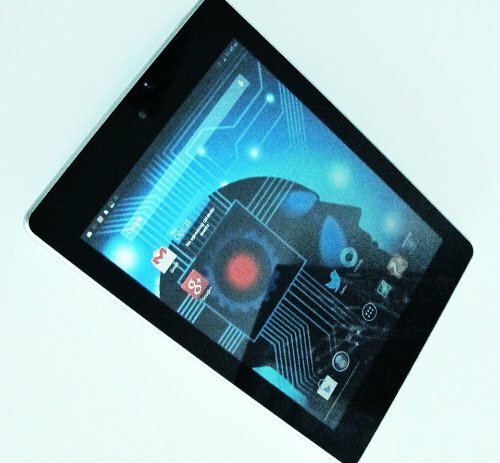 Within a short interval of two months, Acer sent two updates (firmware) to its customers, making the budget tablet a real sweet tool / device to own. The Most recent 2nd firmware update was on 23 Oct 2013. 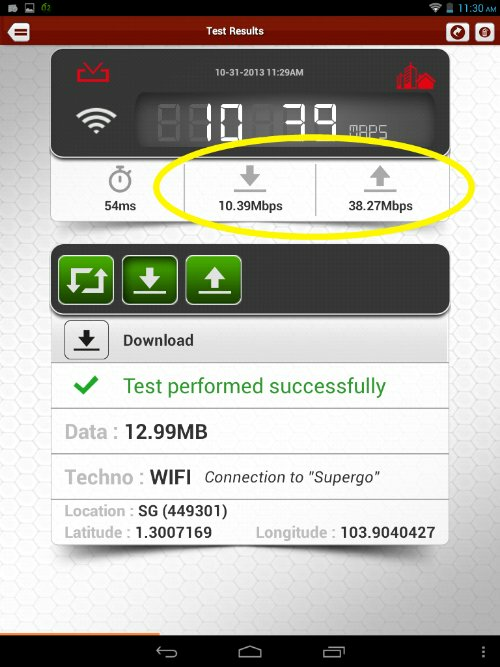 – internet connectivity and speed improved quite significantly, not only reflected by the testing software but in reality the device just Flies! – touch screen sensitivity has now been rectified and user experience remains very positive, both in UI swipe and typing text, Temple Run 2 is much more fun than before, with improved touch screen sensitivity. – there’s also slight improvement over the device’s CPU pace when opening apps and switching around apps. 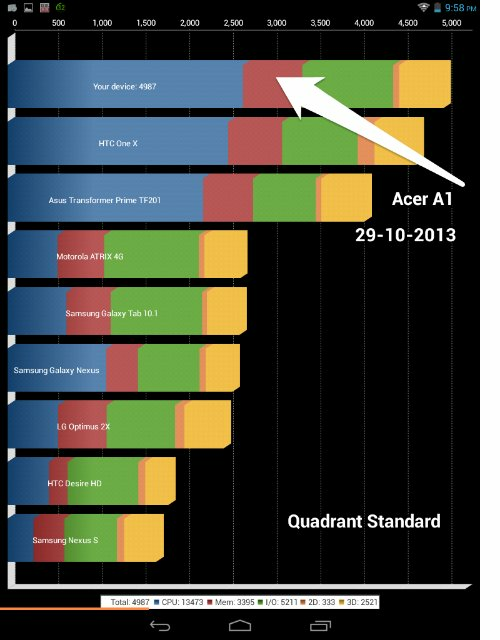 Acer might have done more than the Above, but there’s no publication on what else they did on the updated firmware. Anyway, with Android version 4.2.2 it is good enough to run this quad-core little beast, not to mention this add-on firmware tweaks. Above: Internet upload speed is fast! That makes web browsing experience really enjoyable. 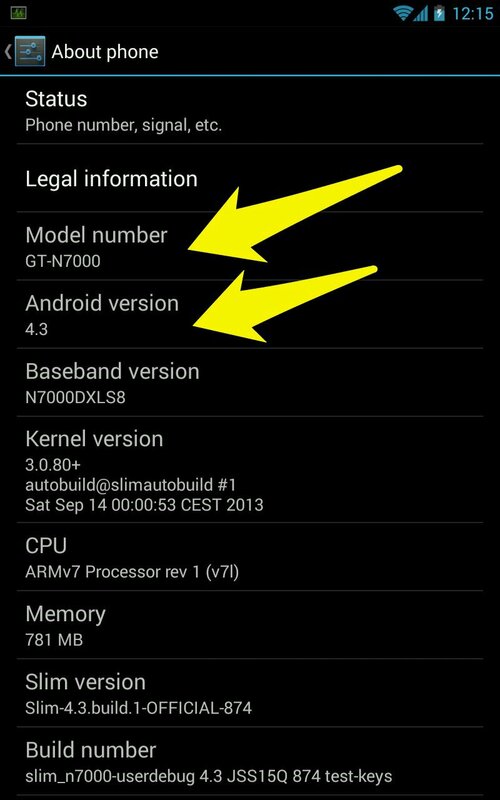 This morning (28 Oct 2013) my Galaxy Note GT- N7000 on Slimrom 4.3 received the new custom rom OTA update notification via the SlimCentre. 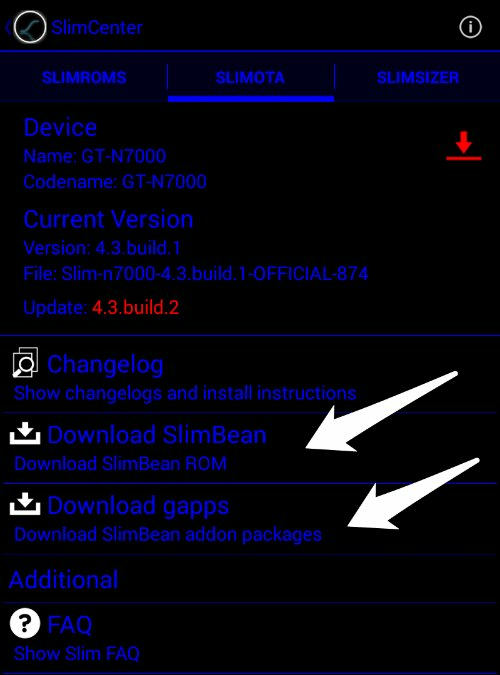 – download the new version JB 4.3.1 (Slimrom 4.3 Build 2) zip file and the updated GAPP (AIO Google apps ) zip file onto my phone’s Internal Memory. 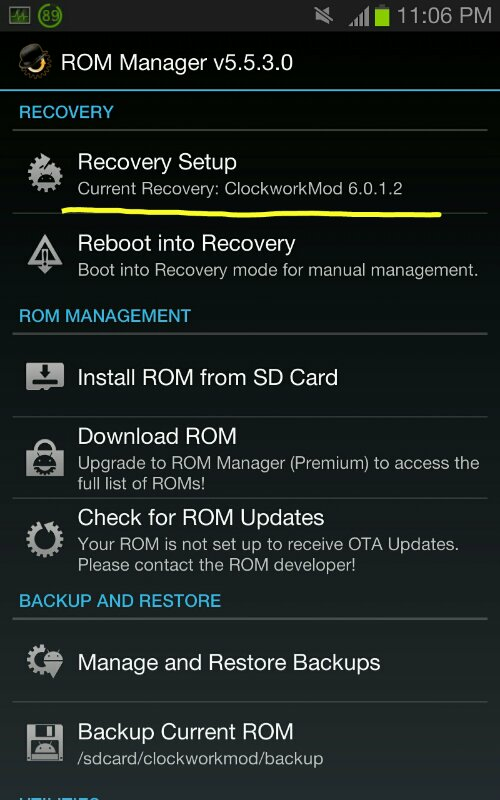 – open ROM MANAGER to reboot the phone to Recovery Mode. – install Slimrom 4.3 Build 2 zip file from Internal Memory. 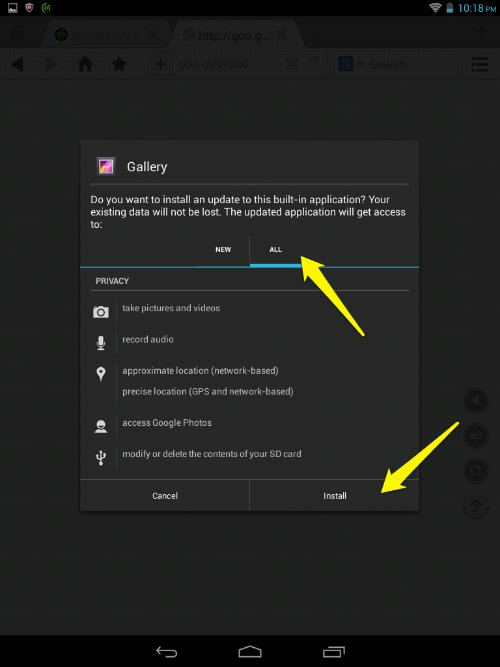 – install GAPP BUILD 2 zip file. 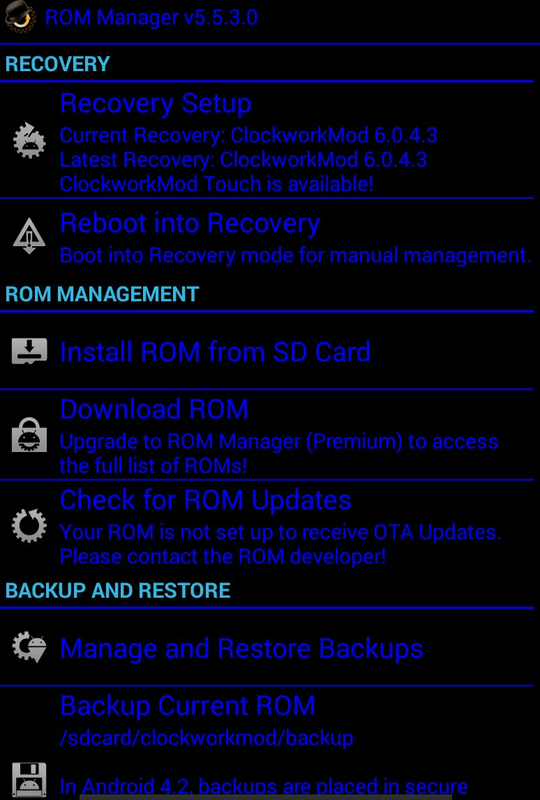 * ROM Manager to be reboot into Recovery mode for the Above process. 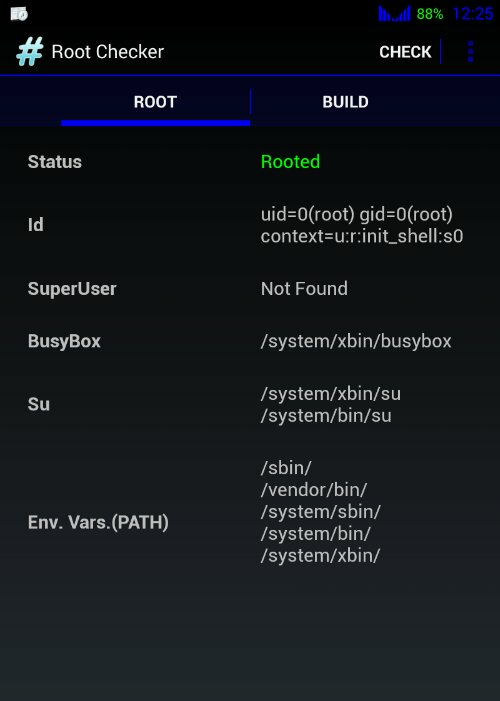 Open up Root Checker to check that the Root status is maintained. MAKE SURE that your phone should be charged with at least 70% or with charger plugged in. – so far no issue encountered. – phone remains fluid and fast in operation. – internet browsing and games and apps open up fast and operate smoothly. – UI switches in fluid manner. 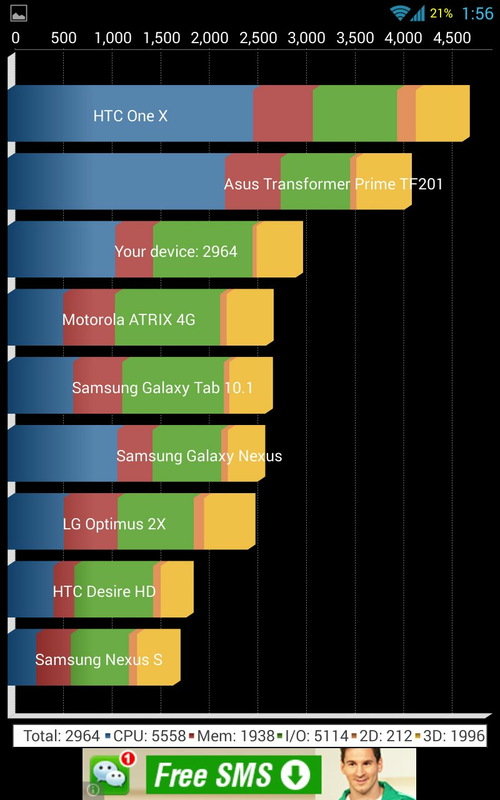 Did benchmark test on Antutu and Quadrant, both show impressive scores. Battery life will take a few more days to test it out, with the new update. 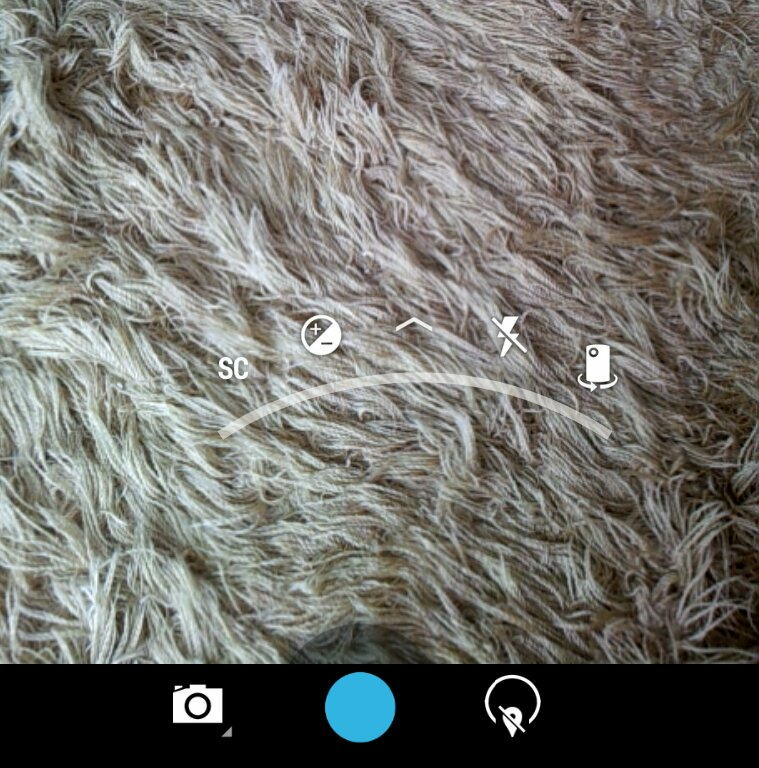 For readers, the attached pictures captured the essential stages of this new rom update. Above: Recovery Mode and installing zip files. 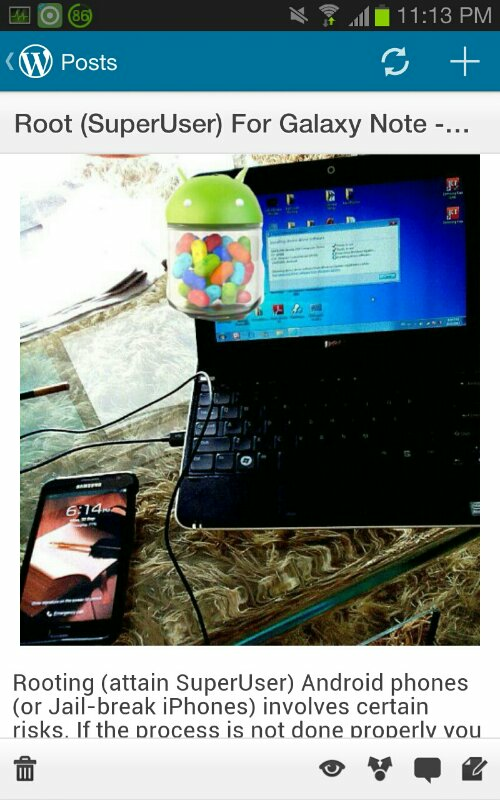 Above: check status of successful installation of new rom Android version JB 4.3.1 and Root. Above: benchmark CPU and I/O, graphics etc. 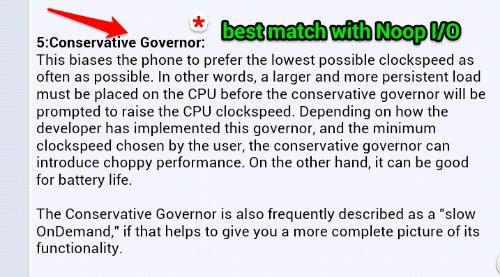 (CPU profiles at Conservative + Noop I/O, Max. 1.3GHz, min. 300MHz, Antropy set at 256 for Read). 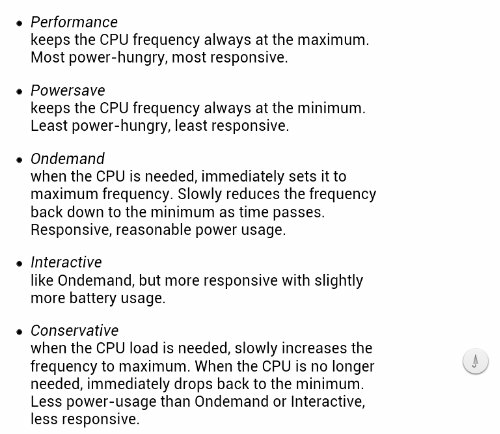 This setting is deemed to maintain very good balance in CPU performance with good battery life. 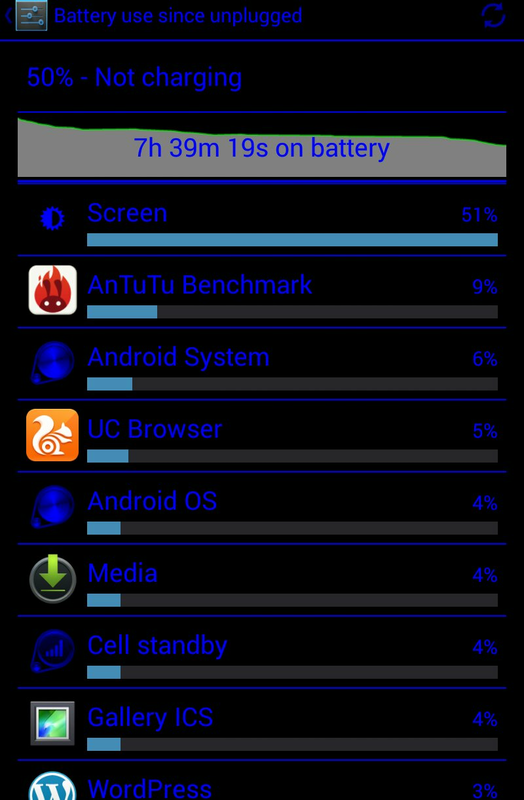 > 7.5 hours of use, the battery state remains 50% full. 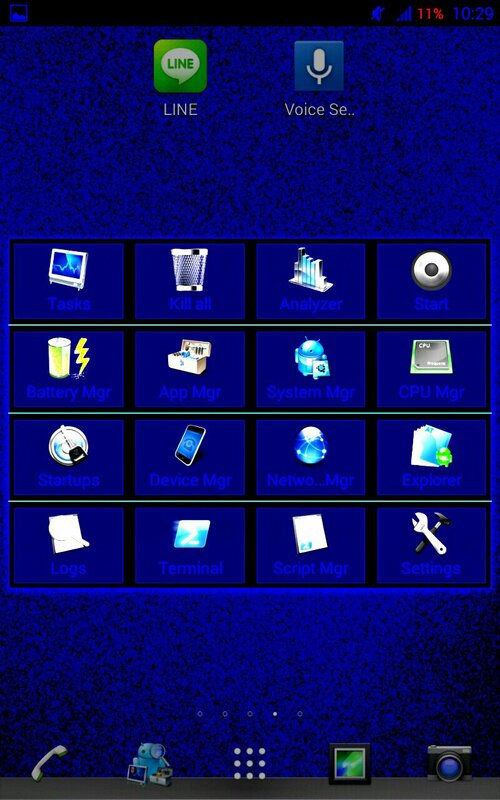 This latest release by DJDarkknight is meant for rooted phones ONLY. 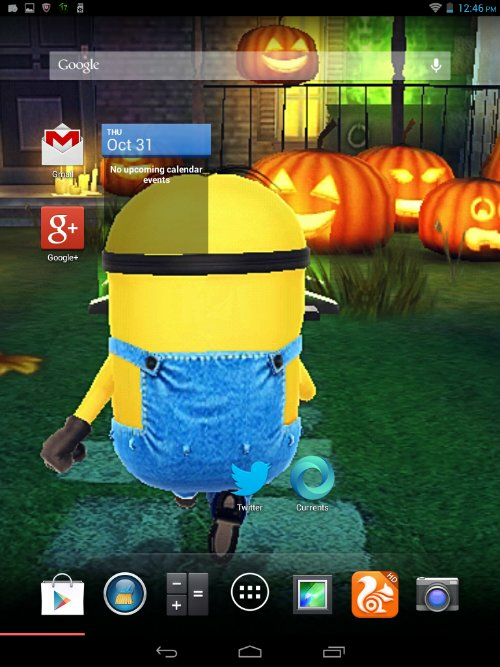 It is unlike other themes that activated from whatever launcher that you installed. It has to be activated from your phone’s Setting Menu (and Reboot) as it has to be supported by the kernel. Changes are fundamentally deeper than skin, including the Menu/Setting, keyboard type wording, camera options, phone contacts, Notification, messaging, browser etc. The overall effect remains quite COOL. 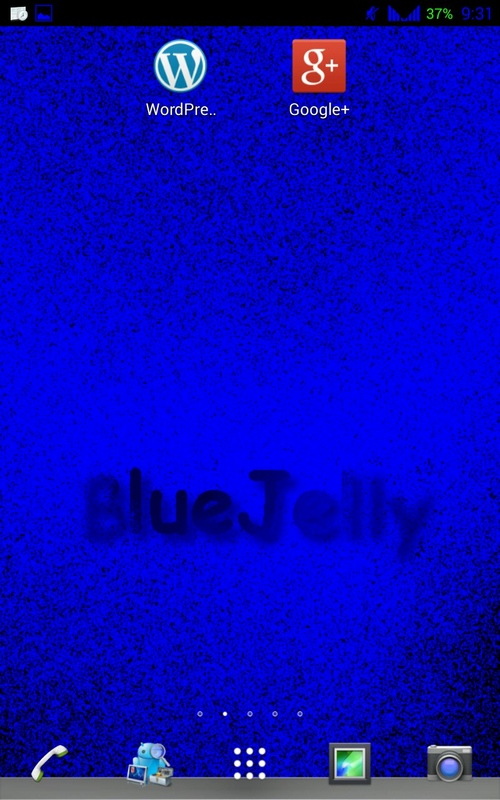 The BlueJelly theme also goes deep into apps such as, Quadrant benchmark etc. 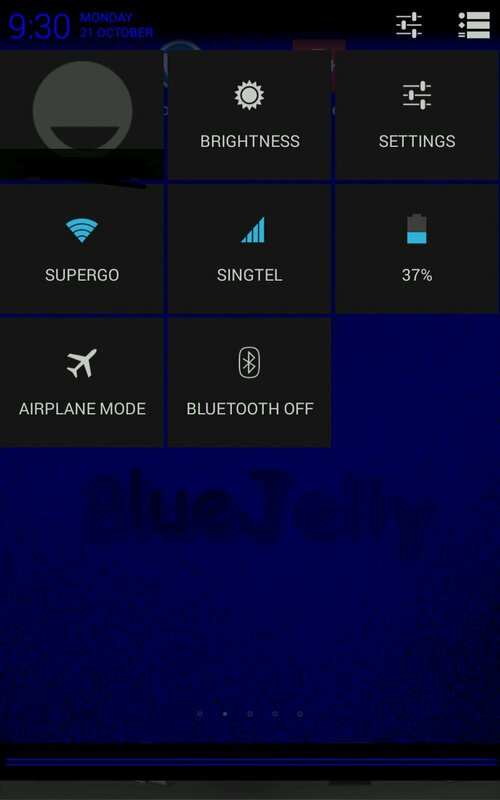 After installing the BlueJelly Theme and operates with Go Launcher Ex for a few days, the system UI functions well without any issue. Coupled with setting up a unique Lockscreen (capable of adding widgets on it) the visual presentation simply looks great. Be it your Android smartphone or tablet, you can also enjoy the latest Jelly Bean 4.3 camera app / software without waiting for OS upgrade. 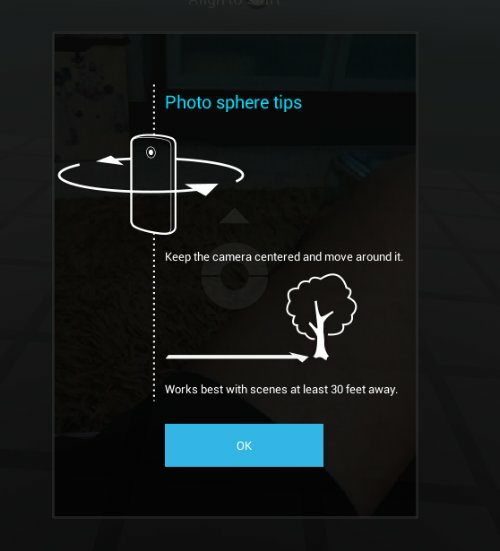 Caution: For those who are still on stock ROM and prefers manufacturer’s camera software you may not want to download this pure Android camera app. 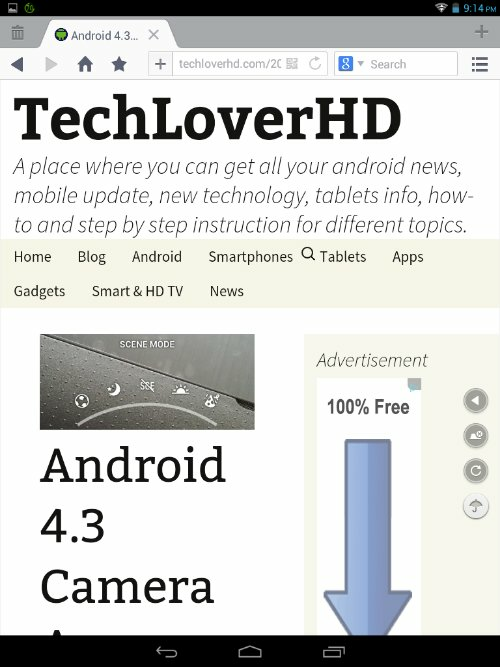 Simply go to the above website and download the latest Android camera apk (software pack) onto your Android device and there it goes. 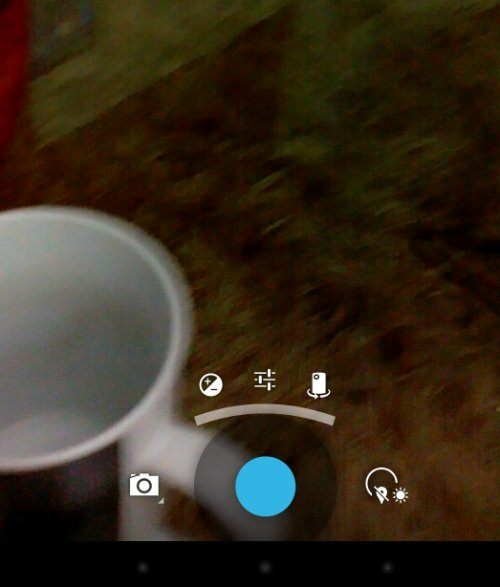 Switch on the camera and you have the latest improved camera app ready to shoot. 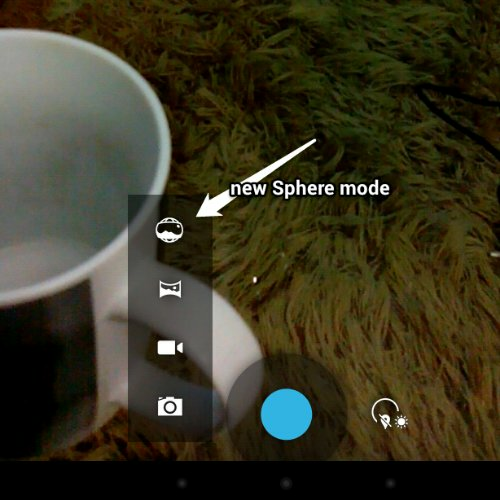 Besides the usual camera software, two new features are included. 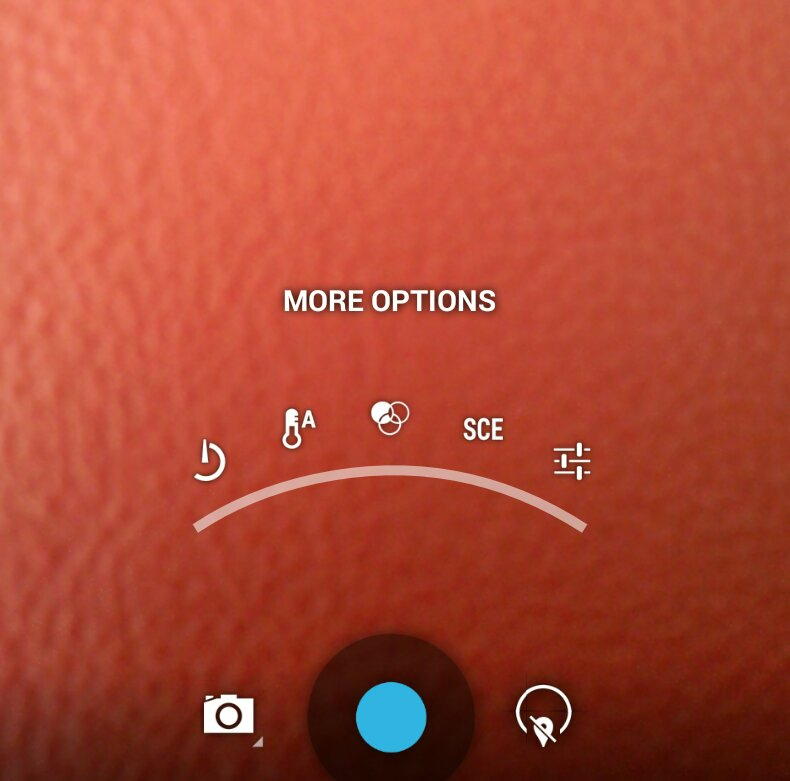 (1) touch on any part of the screen to draw up the camera options. Thanks to the Android community’s continued exploratory efforts. 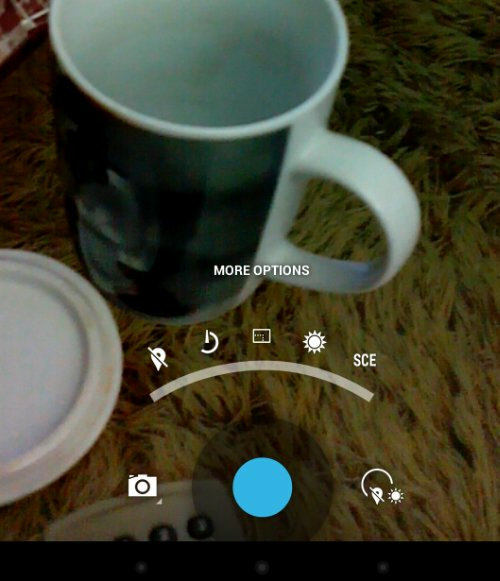 My Acer A1 tablet (Android Jelly Bean 4.2.2) has been loaded with the latest Android 4.3 camera system software and it works. Caution: The application of CPU tweaking is meant for Rooted smartphones. 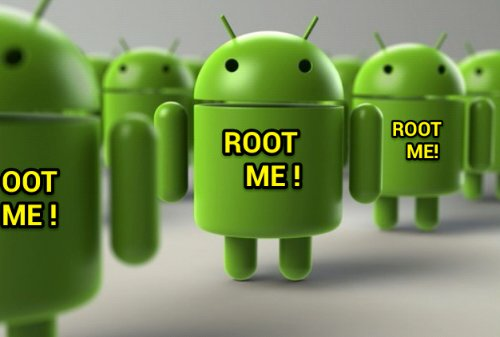 Those who are interested in improving your phone’s overall performance should find out more about smartphone rooting from the web. The results reported by the author in trying out ‘what’s the best CPU profile’ remains relative to individual preference and phone usage. I.e. are you a heavy gamer? Or a web browsing nut? Or just want to last your phone’s battery as long as possible with moderated usage? 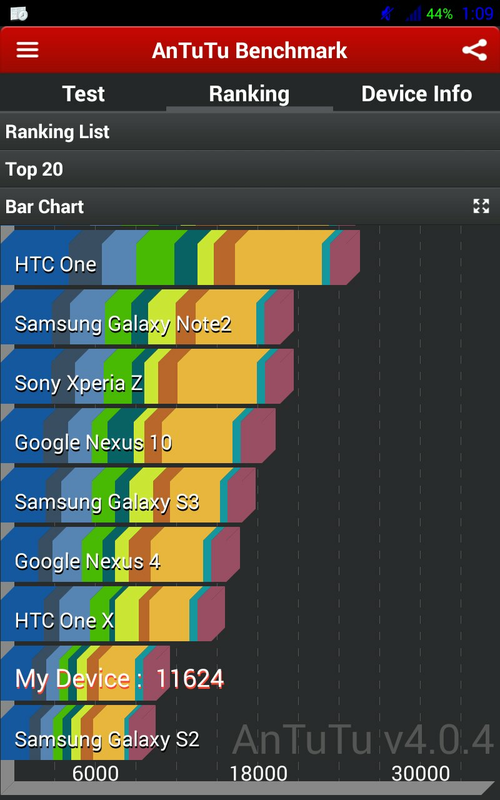 Here’s my systematic mix and match of various CPU governors and I/O Schedulers over two week’s of extensive ‘tests’ on my Rooted Galaxy Note with Slimrom (Android 4.3 stable Build) Jelly Bean installed. 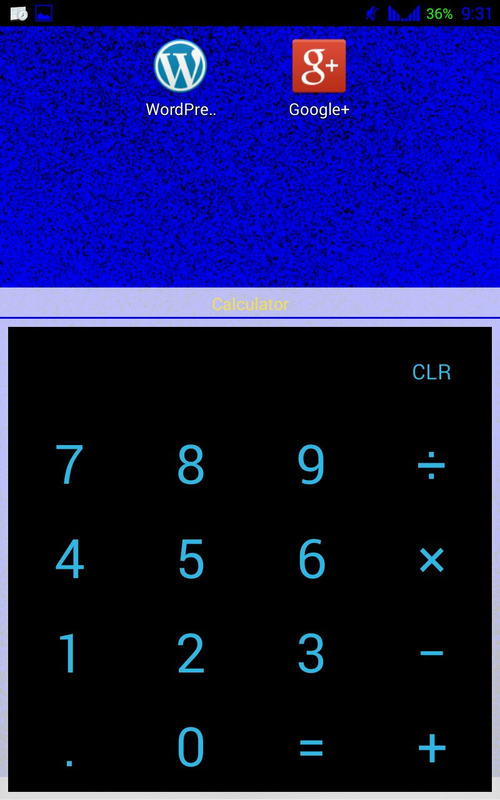 I tried out some CPU apps downloaded from Google Play but finally stick to CPU Control as it is straightforward and effective. First of all, appended below are the necessary information extracted from the web and commonly discussed, centered around this topic of CPU tweaking. 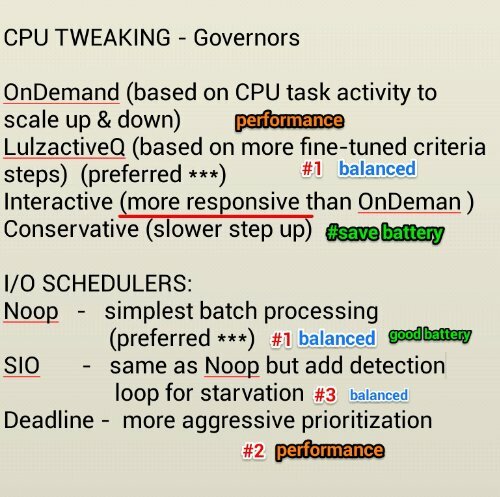 Also tried out mix and match of I/O Schedulers with governor Performance and Userspace. The results were really irregular and poor. 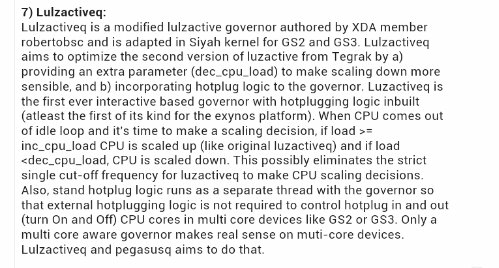 Further into more targeted tryouts of CPU governor Ondemand, LulzactiveQ and the oddball Conservative, based on various I/O Schedulers, based on moderate to continuous gaming, heavy webpage browsing, S-pen drawing etc. the final result is a bit surprising. To summarized, I put together the following chart of key governors and I/O Schedulers that I tried out, for easy reference. Readers can go about your own experience of mix and match tweaking of CPU profiles to determine which setting (pairing) meets your requirement. Try them. My take on Noop is that though it is a very simple process of input/output control, but in almost all conditions it doesn’t show any lag. Deadline scheduler is pretty impressive to pair with Interactive, Conservative or Ondemand, but don’t bother about battery saving. 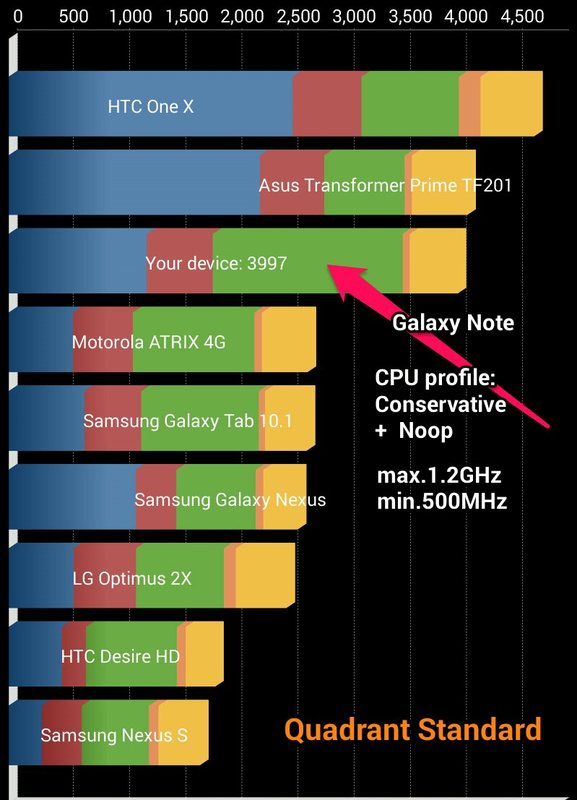 Above: Antutu benchmark score illustrates that with the chosen CPU profile (Conservative + Noop) the phone could still handle fairly heavy-going tasks running on it. Yet without sacrificing Battery state. 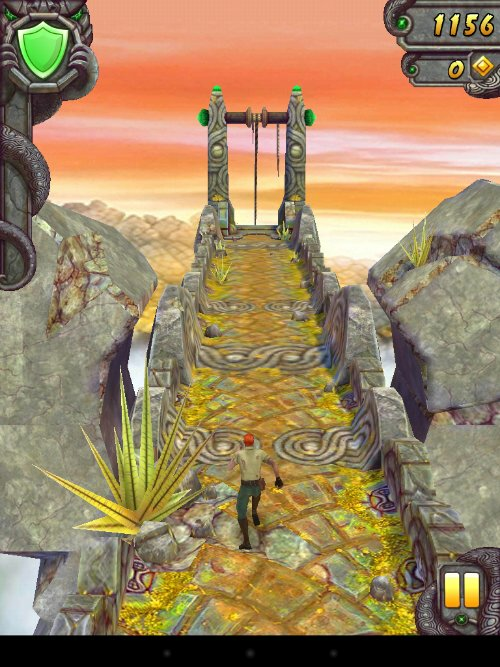 Games like Temple Run 2 is a piece of cake in terms of fluidity and frame rate. Hope my trial experience help you in carrying out fruitful CPU profiling of your Rooted smartphone. The resulting performance of this juice conservation CPU profile will be that on heavy image web upload is slightly slower than the Min. 500 MHz clock speed setting. Approximate 15% – 25% less responsive depending on Internet connection & website but on idle mode and screen off it conserves more battery life. However frame rate on games such as Temple Run 2 doesn’t seem to have noticeable decrease and the game remains very fluid & smooth running. The Quadrant benchmark test on this juice saver profile shows a score drop of 25%. 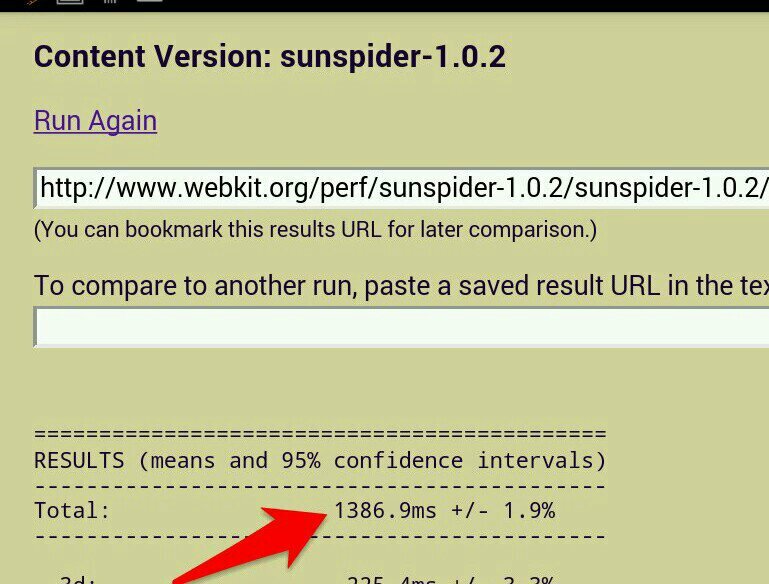 But in real life operation you probably won’t feel it that much, on most app operation including web browsing. 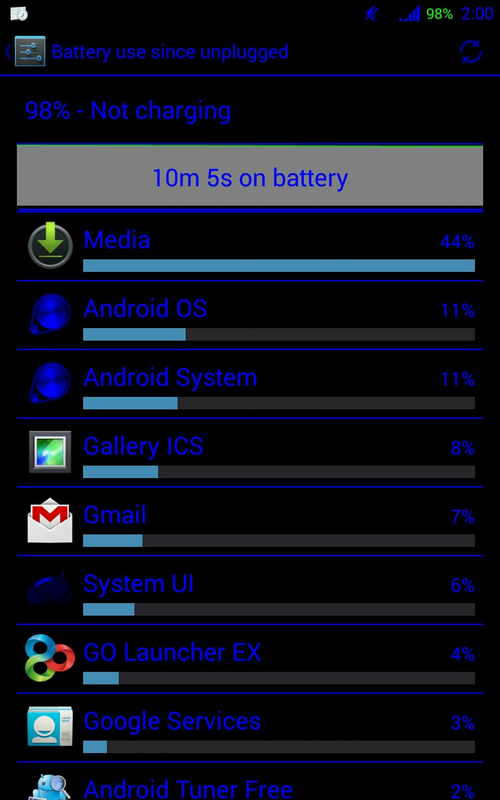 17 hours – light usage (web, email, messaging) and standby. 8 hours – moderate to light intense (includes web browsing, photo shoot, listen to music, play games, watch YouTube, email, messaging etc. and standby). Most draining battery is the huge 5.3″ display, which took up a total of 52% battery life. 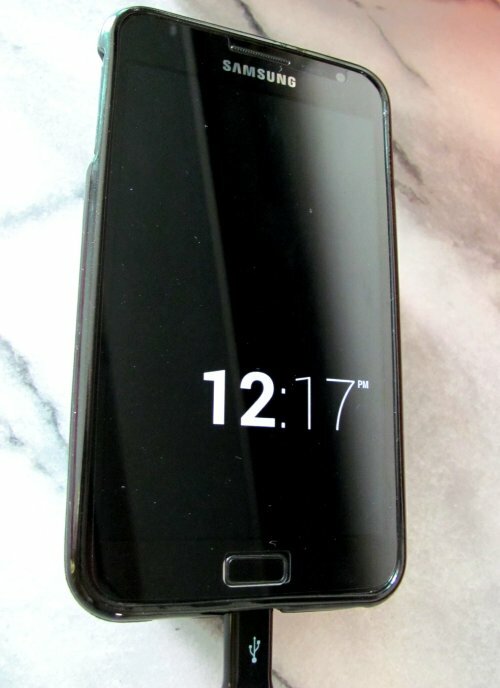 The figure is still within reasonable range for big screen display phones. So, try it out yourself. 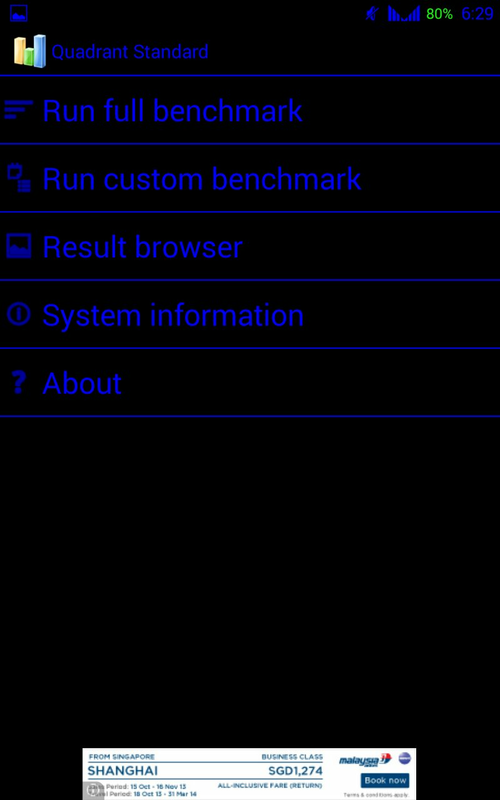 With further trial on my rooted Galaxy Note, it is noted that instead of leaving the default value of mDNIe at CyanogenMod, change it to UI scenario increases the overall performance significantly, likely due to improved 3D graphic benchmark. 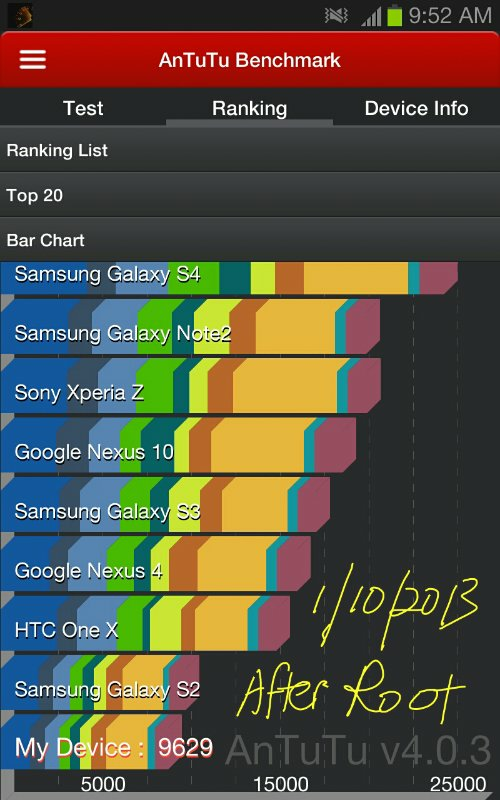 Antutu test shows that it works. 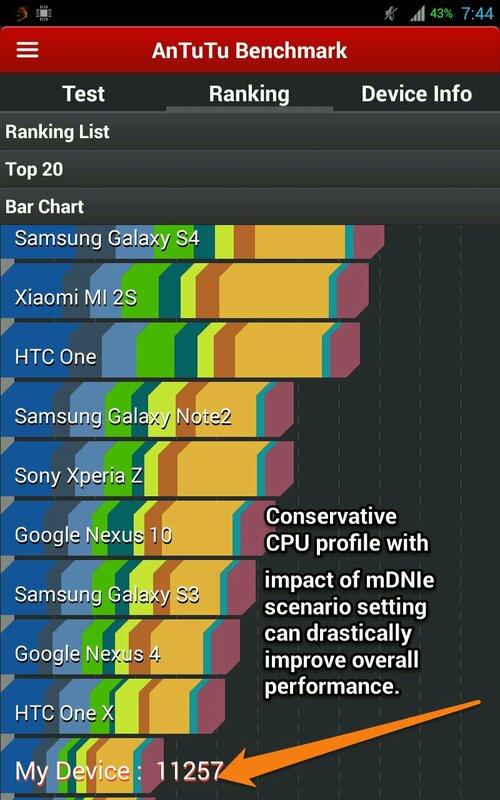 Above Quadrant benchmark also shows corresponding improvement with mDNIe scenario reset (to UI scenario based on custom rom installed). This may also apply to other rooted devices. Go to Advanced Option > Device > Screen to set the appropriate mDNIe scenario. Always check if your custom rom is CyanogenMod or not. 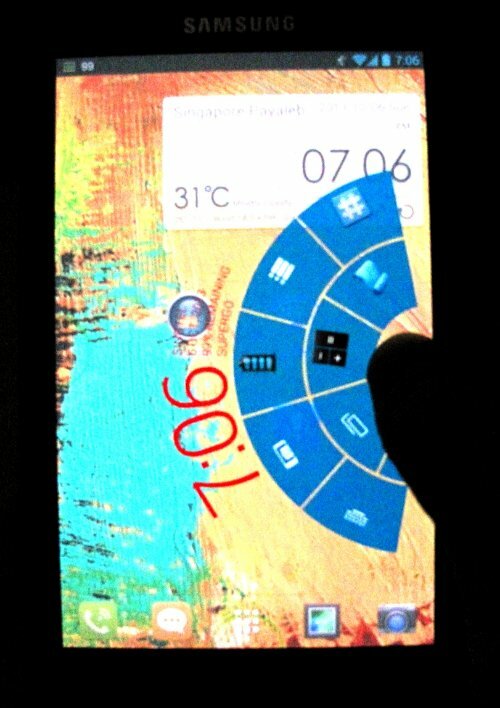 For non-CyanogenMod, change the mDNIe scenario to UI instead. The resulting impact is significant. This is what you will get from the CPU profile tweaking combined with mDNIe scenario setting, and after letting the OS runs a few days. 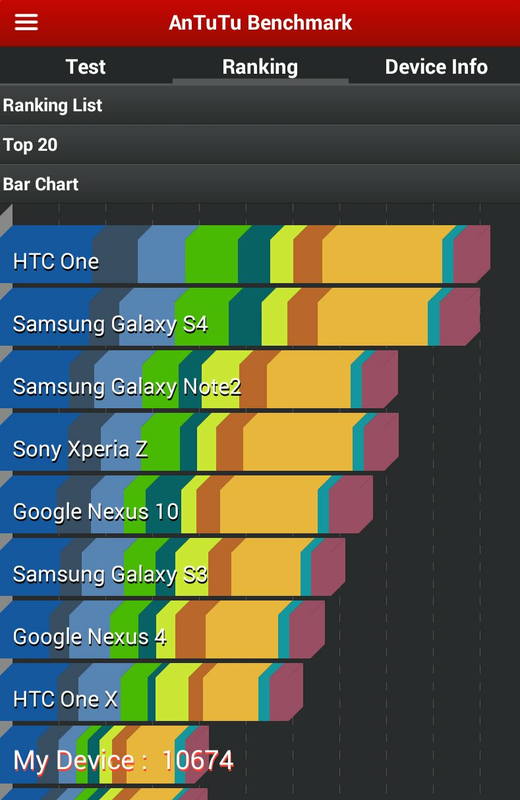 Above chart shows that not only you get an impressive performance-battery saving mode out of your Rooted phone. 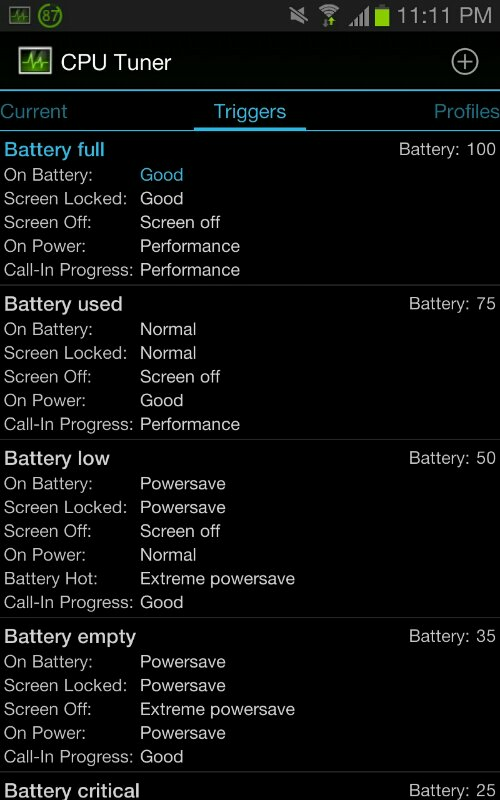 Battery life is extended with screen battery usage at a very good 37%; that’s where you save more battery juices. 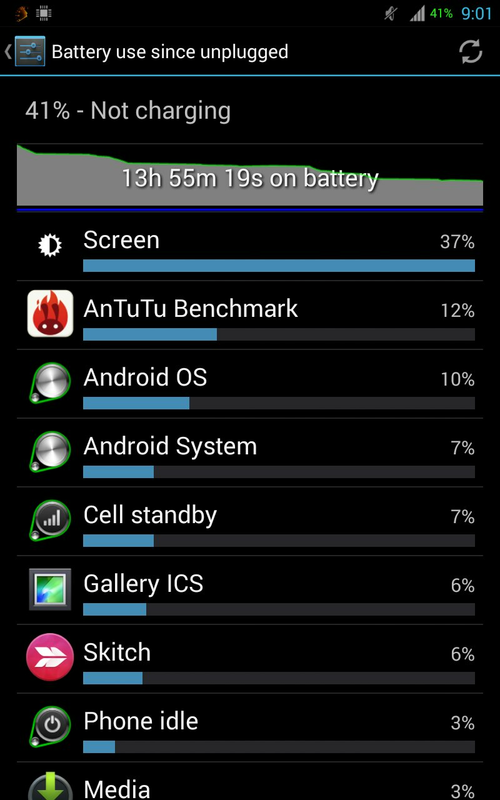 Note that system Apps and OS maintain relatively moderate consumption of battery life, after run-in on the new tweaks. 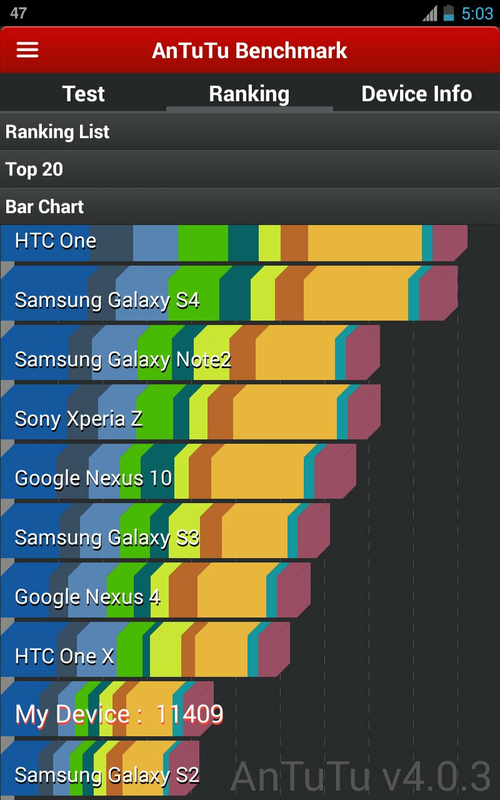 Hence, overall performance of the device is very smooth. 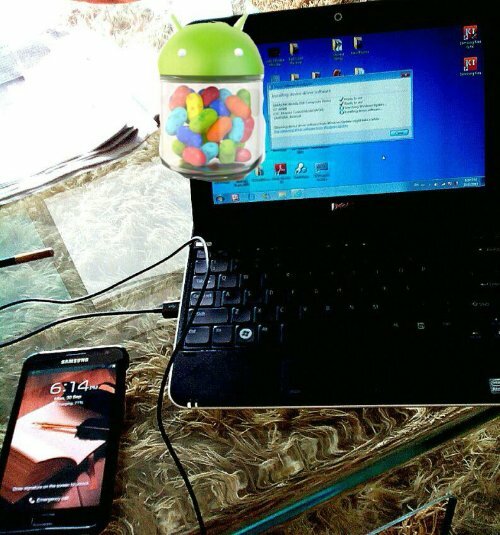 I am happy to report that yesterday I managed to flash the custom ROM by SlimBean, one of the popular Android developers, onto my Galaxy Note N7000 successfully. 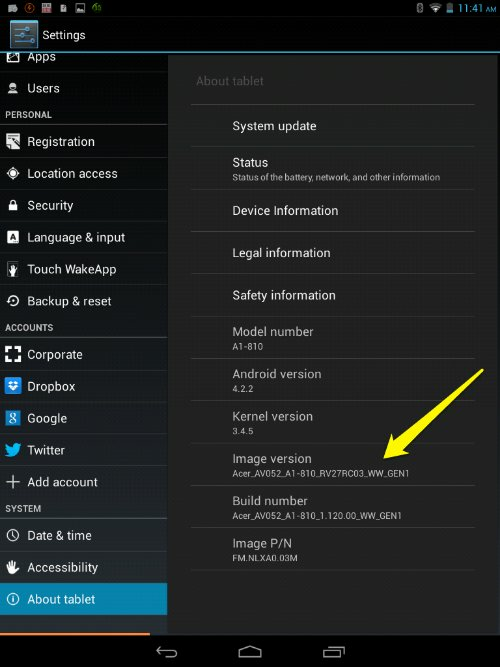 The Android version, Kernel and Build Number are in the following screenshot. Basically, just follow the Custom ROM download instruction CAREFULLY and you will end up with the latest Android Jelly Bean version 4.3 on your phone’s OS. Do it right the first time on the following major steps: (please refer to recommended detailed process by developer). 1. first thing first, make sure you identify the correct custom ROM developed for your phone model, don’t download the wrong ones. DO YOUR HOMEWORK READING UP ALL RELATED INFORMATION ON THE WEB. Becos you may still encounter some situation along the process. 2. 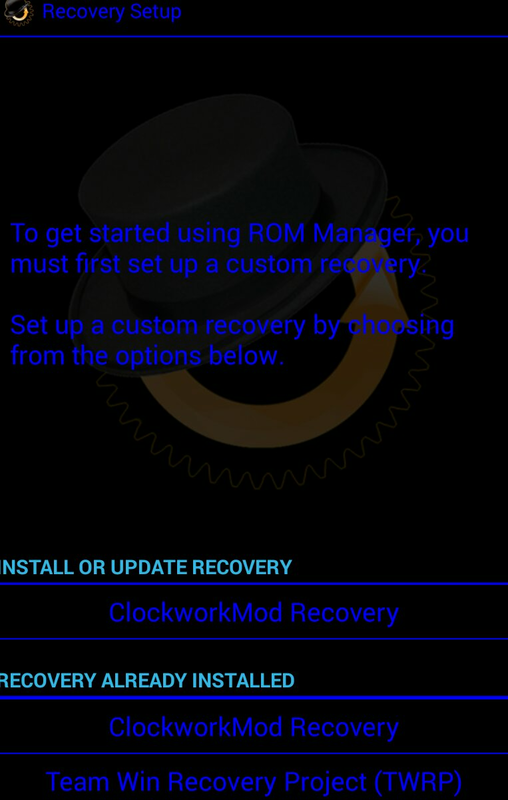 Be sure to make a backup for the CWM Recovery and data to the phone’s internal memory. 3. 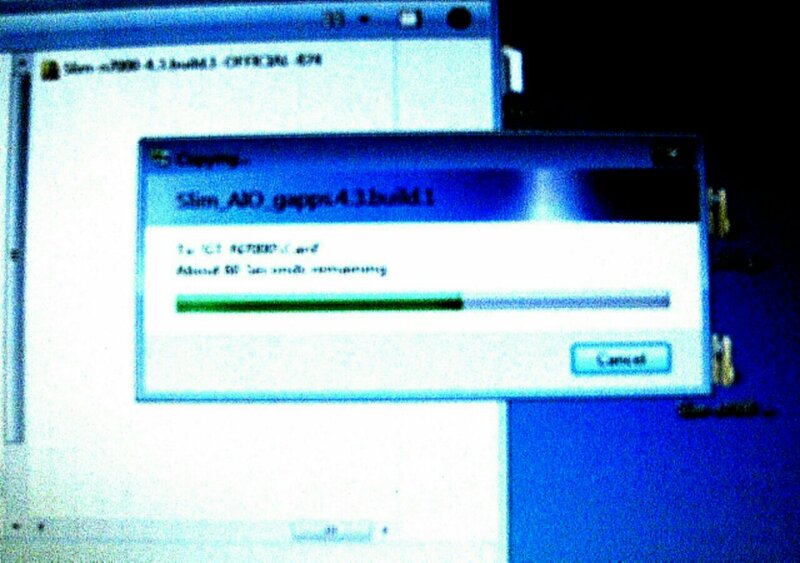 Plug in to PC to download the correct Zip files posted by SlimBean developer onto your phone’s sd card. Not internal memory. 4. Unplug from PC, perform Factory Reset and cache wipe. After which followed by installing the SlimBean Zip files from external sdcard and flash the ROM in accordance with on screen guide. 5. 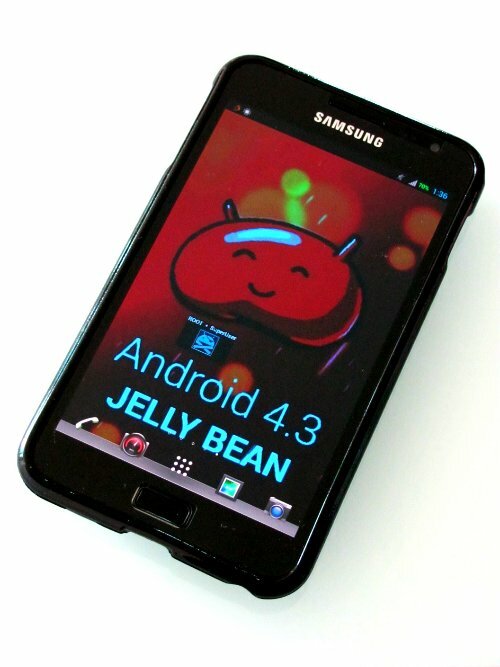 Reboot your phone upon completion and your phone will be updated with new ROM (Jelly Bean 4.3). Check your phone’s Setting > About Device to confirm that. 6. But, after flashing the new Custom ROM you will have to go to Developer Options to Enable “Root status” again. Otherwise it will be blocked. 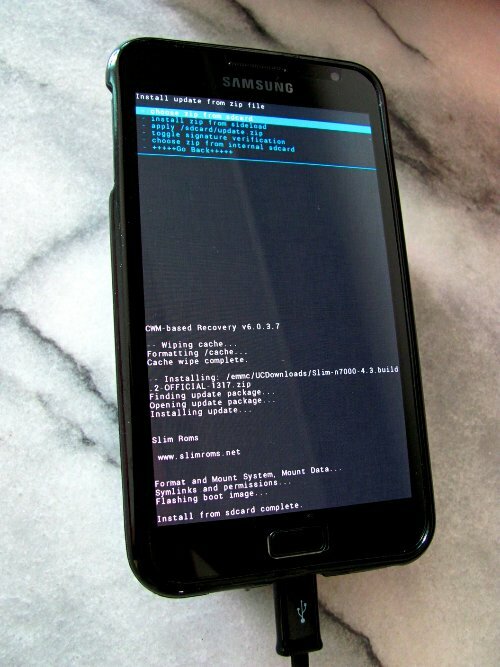 Go to Rom Manager to perform a Recovery reinstall and reboot phone again. 7. 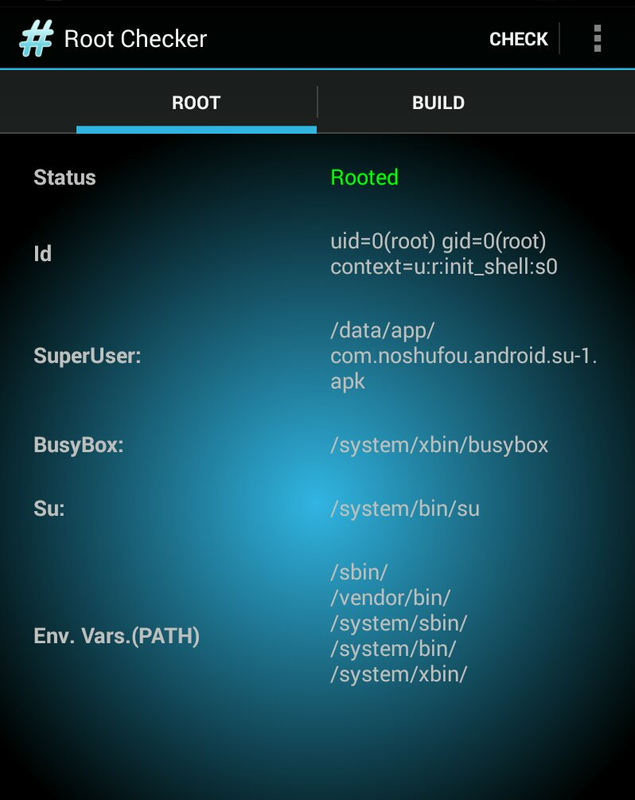 Carry out Root Check to make sure your phone is back to rooted status. 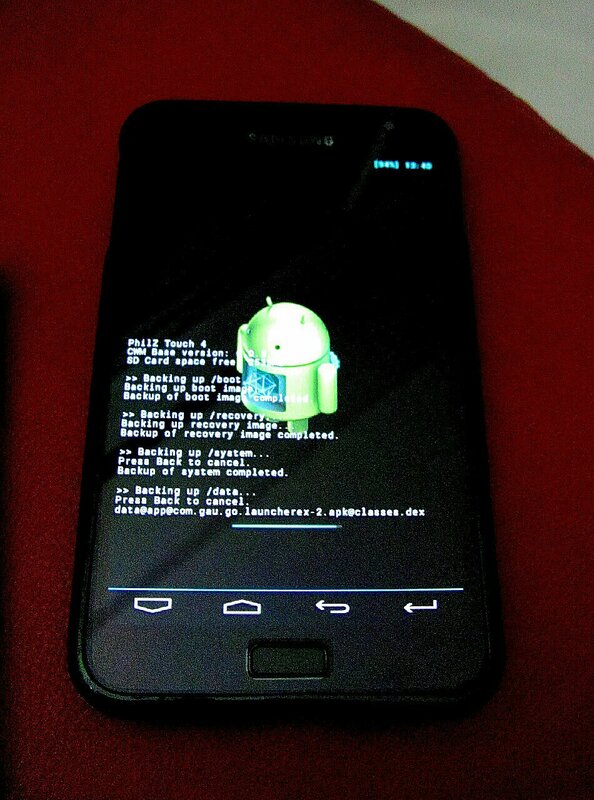 – the phone remains rooted using this method for OS update. 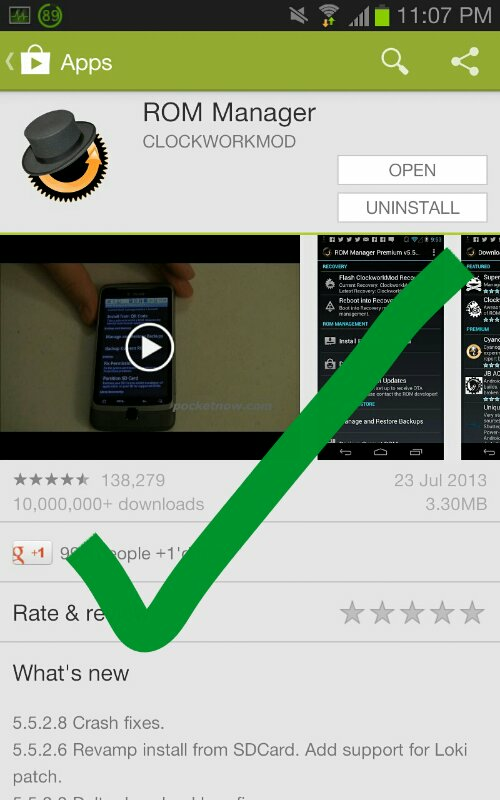 Powerful apps (for rooted phones) can be downloaded. – retain all the apps data (thru backups) after the update, using this method. – UI and app operations become more fluid and faster. 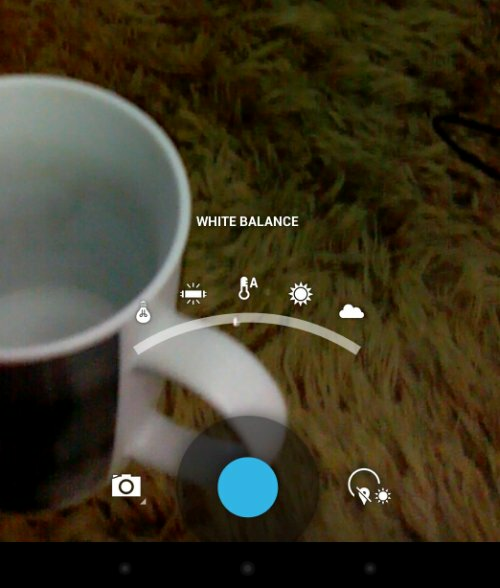 Above: press anywhere on screen during a photoshoot, camera options will appear for real-time quick adjustments. This is cool. 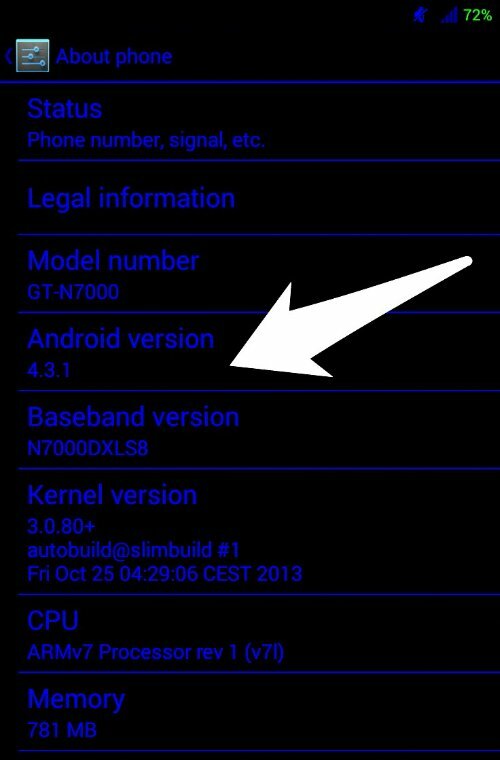 In conclusion, this SlimBean custom ROM is stable and impressive. 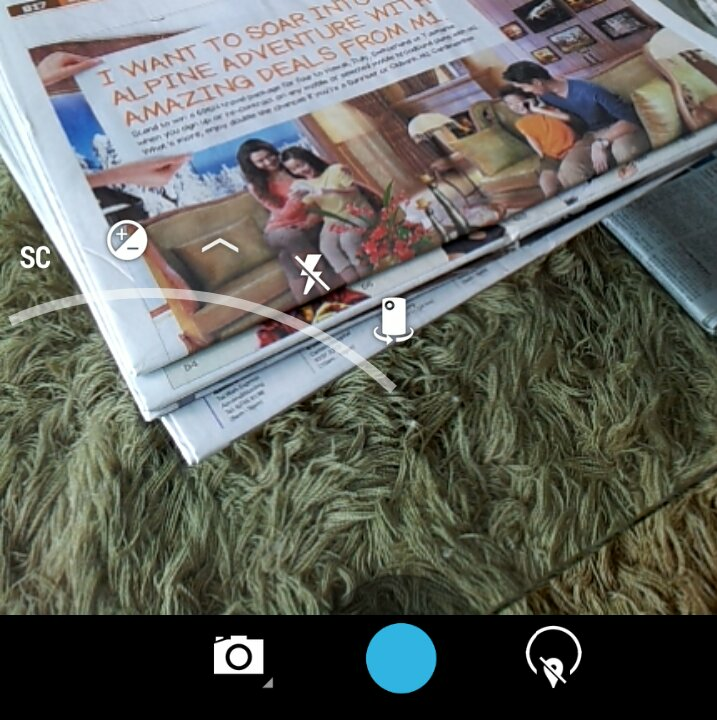 The SlimBean custom ROM 4.3 has included one System UI Navigation feature which is very useful for multi-tasks, same as the Air Command of the Galaxy Note 3 S-pen. The fan shape UI Navigation feature can be customized (from apps tray and system functions ) for highly convenient one-hand operation. 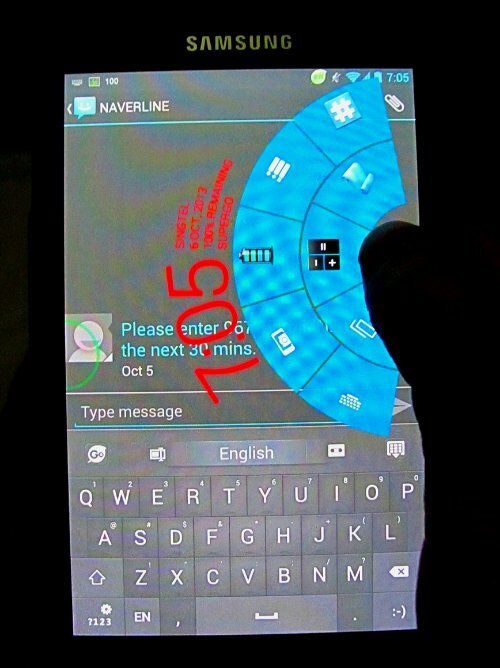 It can be triggered by the Note’s S-pen stylus, thumb or finger right from the screen edge. 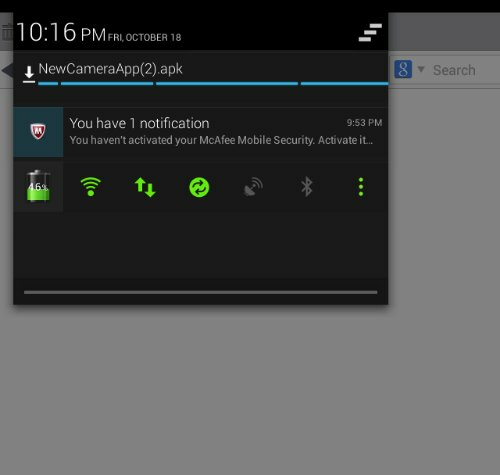 This system/application button navigation feature can be triggered on Home screen or inside any opened application. So users need not withdraw from app midway in order to re-navigate. Another great system UI is the Widgets Viewpager, which can be setup via Setting > General > Widgets Viewpager. Various preselected widget windows can be activated using hard-key long press method such as the Back-key. Swipe right or left to change the widget windows. 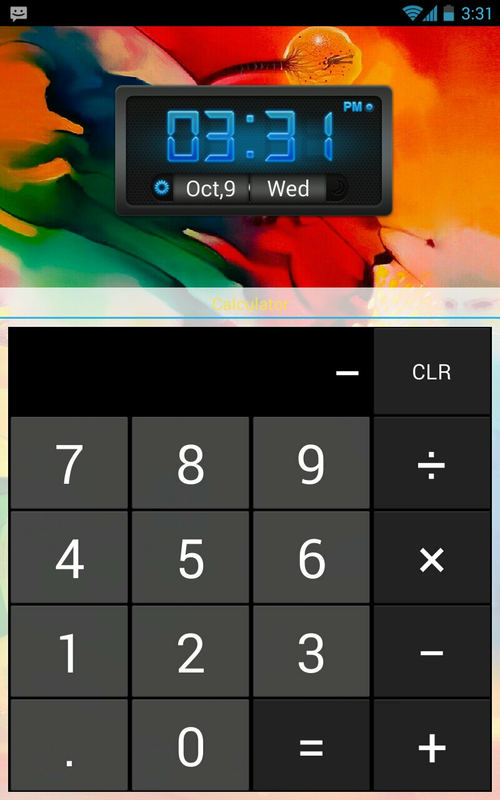 This UI allows user to bring up say, a calculator widget or gmail, or messaging, music play etc. in the midst of an application or on home screen. 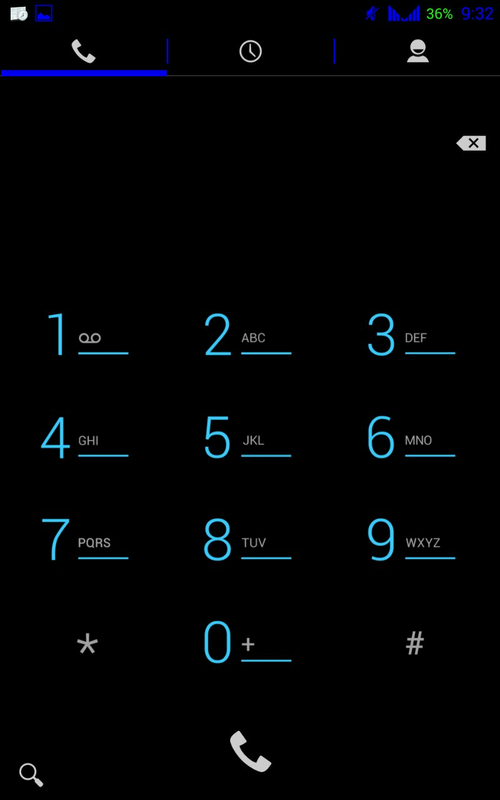 You can also change the colour scheme and style of the Widgets Viewpager. Very user friendly UI for Multitasks. The new custom OS stabilizes and pushes system performance even higher. Change CPU control to No Frill CPU Control and it is effective in managing the clock speed, CPU governor and I/O scheduler profiles. Most obviously is web browsing is very fluid, with heavy web pages upload really fast, such as Endgaget, MobilieChoice, YahooNews, Techradar etc.etc. 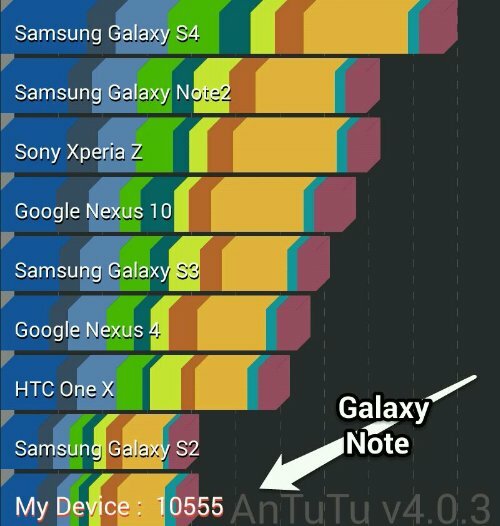 Antutu benchmark shows higher score consistently. A follow-up on the above blog post dated 1 Oct 2013. 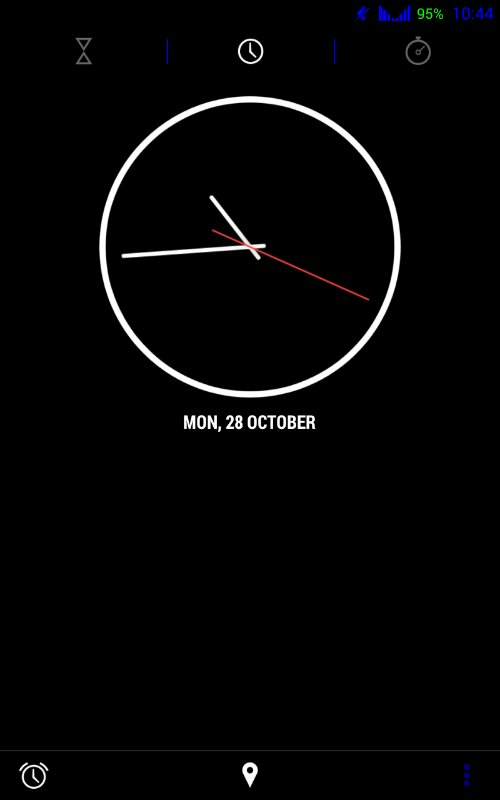 AFTER my first ever attempt to root my Galaxy Note (JB 4.1.2) with the ClockworkMod (CWM6) ROM Recovery three days ago, I am happy with the OS and my phone functions perfectly well. 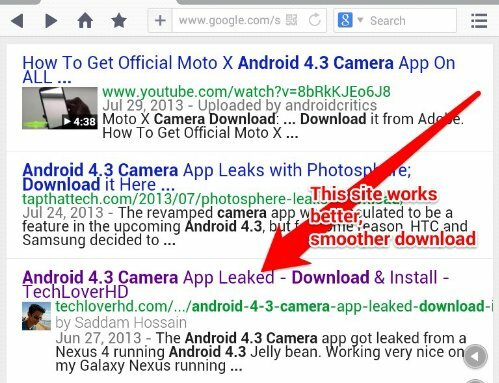 – make sure that you download from Google Play this app ROM Manager. With a newly rooted Android device, you can start to manage its operating system with ROM Manager, such as Recovery and data backups, download new ROMs, sd card partition, as well as any update of current ROM Recovery (you will be informed) etc. I have just flashed the most current CWM6 update for my phone model this evening prior to writing this post. Expect to see more improvements on the OS performance. Interestingly using the ROM Manager one can also download other developers ROMs as well, such as CyanogenMod. 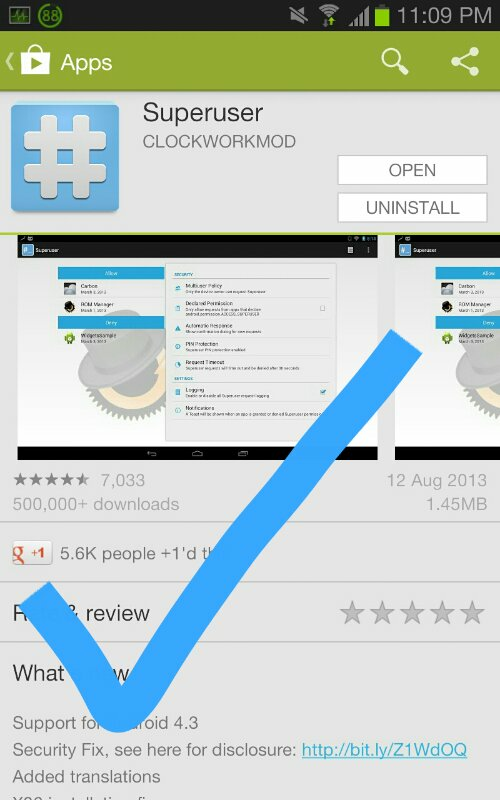 Related apps can also be downloaded via this RM. – after three days of testing, this app CPU Tuner adds good value to overall battery power management, through CPU triggers and performance profiles selection. 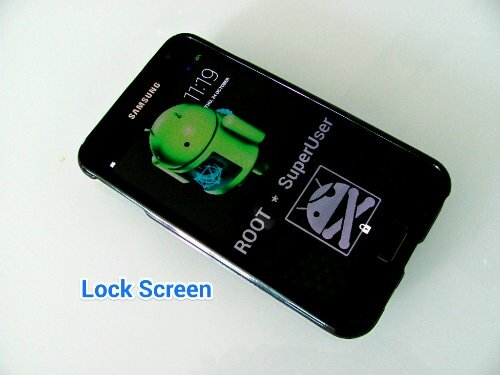 – of course, Superuser application is a must, for granting root access permission to Android apps. So far, so good. 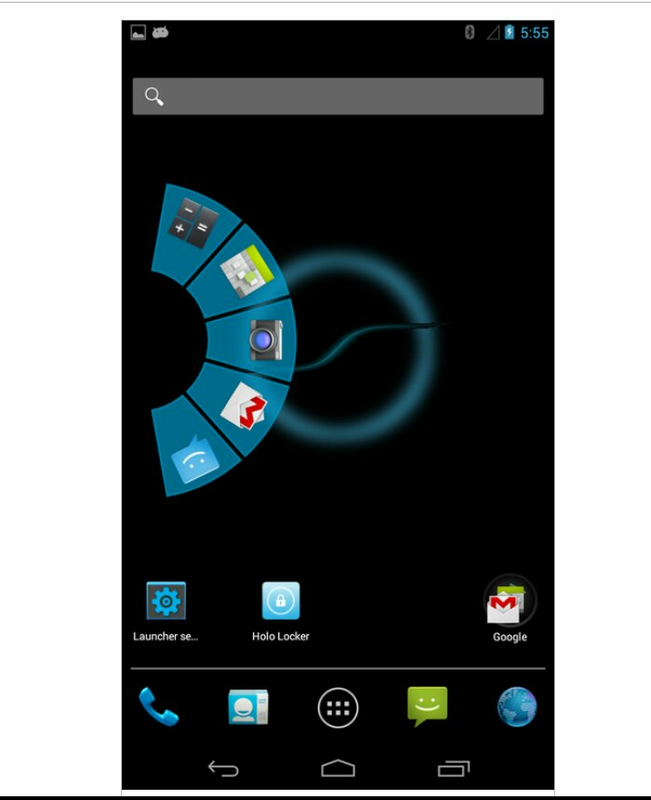 CUSTOM ROM approach is a great alternative in maintaining constant OS updates. Tried Games such as Temple Run2 and Pinball Pro etc., game speed seems to be faster even when battery level is at the lowest (17%) with CPU profile at “extreme powersave” state. One reason should be the lack of bloatware after they were uninstalled after the ROM was rooted. 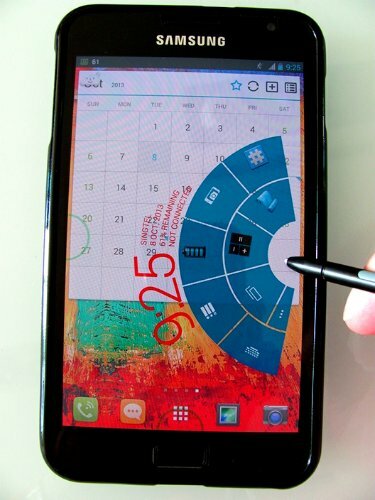 I owned this Galaxy Note (5.3″) for six months and found it quite a good smartphone with great user experience. For a long while I have been reading up articles on the web about the Android system (or rather ROM) Rooting for smartphone. The Apple iOS tweet is called Jail-break. Essentially this is a way to “open-up” the factory/manufacturer control over the ROM instruction/governor function programmed on the SOC (system on chip) when the phone is sold. There are certain sets of CPU processor instruction that common users of smartphone are not allowed to make changes to and hence, it limits how an App to access on the Kernel files. The purpose is to “protect” the phone’s software downloaded. But certain more advanced Android applications could only work on Rooted phones. 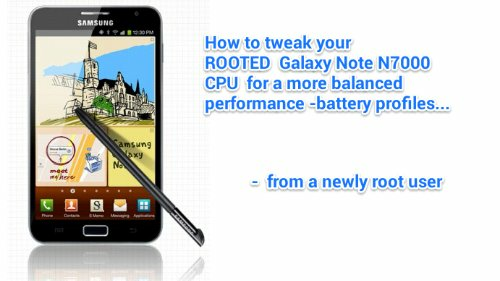 Special Android modifications on more powerful customed CPU Kernel can then be installed on rooted phones. Also, on a Rooted phone the user could uninstall certain manufacturer pre-loaded apps to release more internal memory space. So, a non- rooted phone will be rather limited in having certain Apps to be downloaded such as, CPU MASTER, CPU ADJUSTER, etc etc. including certain advanced games and utility Apps. To ROOT a phone is to grant access to the phone’s CPU Kernel files (otherwise It’s locked by manufacturers ) and upgrade to a SuperUser status. Anyway, thanks to the following Android Developer’s CWM root method (there’s also the Odin method) I managed to root my Galaxy Note N7000 (though it took a few tries) , the results are great. 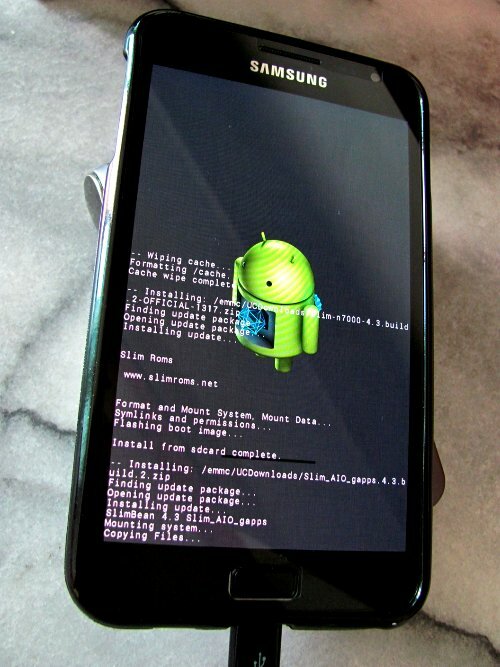 Rooting (attain SuperUser) Android phones (or Jail-break iPhones) involves certain risks. If the process is not done properly you could BRICK (renders the phone to be unusable completely!) your few hundred dollars smartphone that’s it. Along the process make sure you avoid confusion and mistakes. So, do read up the steps carefully as some information posted on web are easy to understand but some can be misleading and confusing. 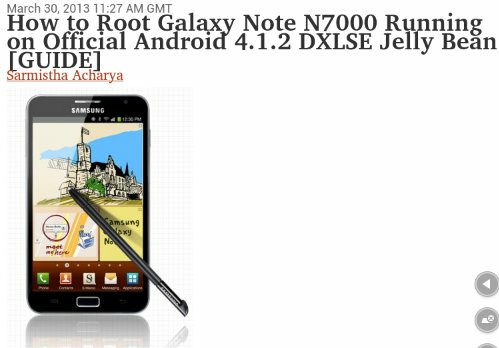 This CWM Root instruction (for Galaxy Note with Jelly Bean OS, Southeast Asia version) that I found on web a really good one and clear to follow. However, on-hand experience of carrying out Rooting your phone can still be worrisome at certain stage because of unfamiliarity of Android Developers language. And the screen may sometime shows different indications that’s what you got confused. 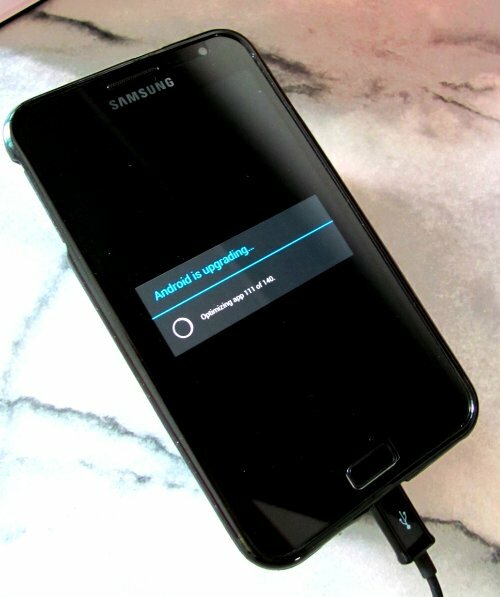 Just how do you know that your phone is Rooted after the process carried out? 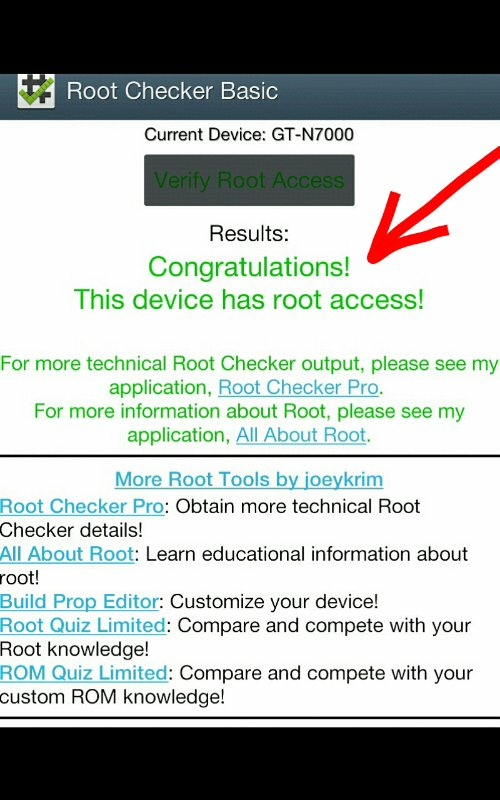 You may download the Root Checker app to test it. If you see that, congratulations you will start to enjoy a greater Android user experience. Also, a SuperUser app will be installed in your app tray (automatically) after the Rooting process is successfully completed. 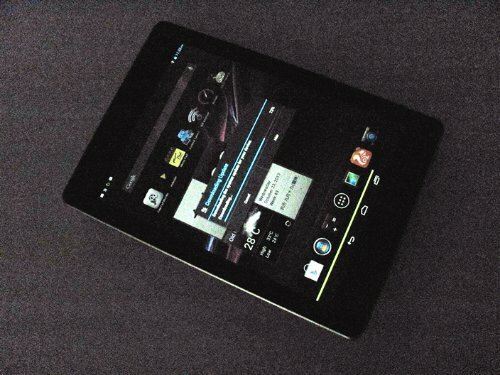 That is for the control of granting access to apps that require SuperUser permission on Kernel files on the ROM. A gate-keeper sort of. 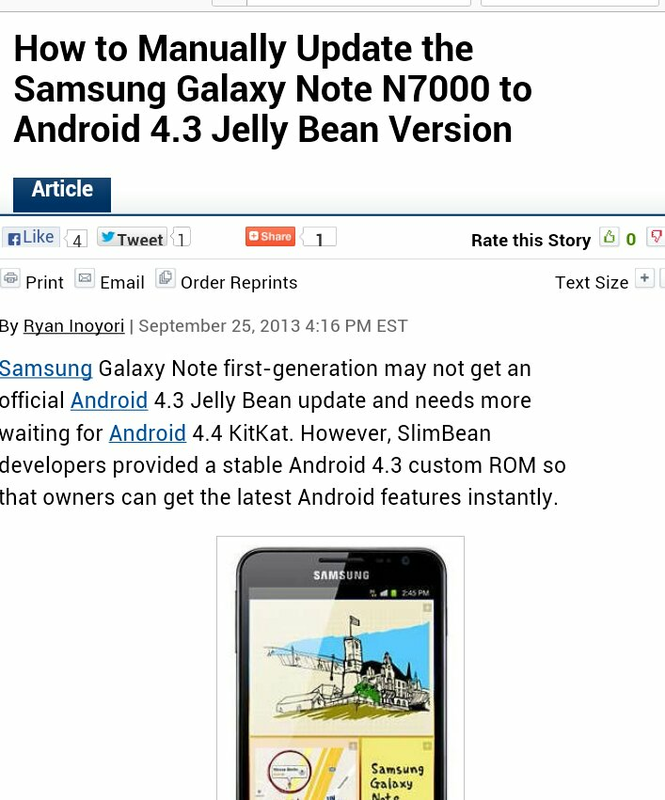 My experience of Rooted Galaxy Note N7000 has been very good so far. 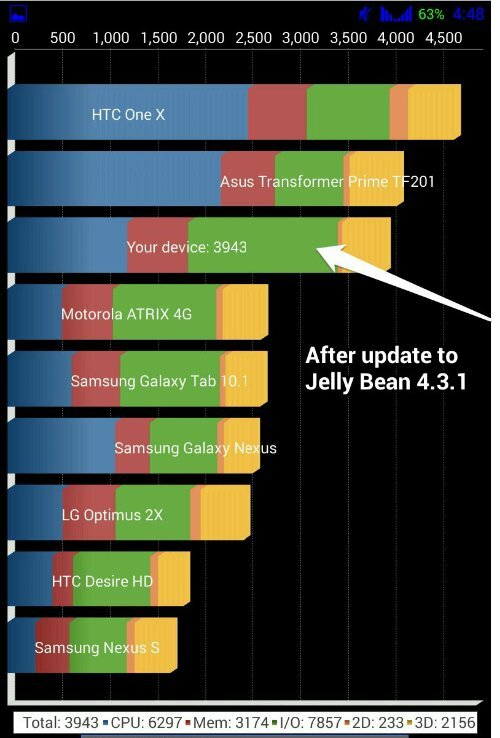 – synthetic benchmark (Antutu) improved. 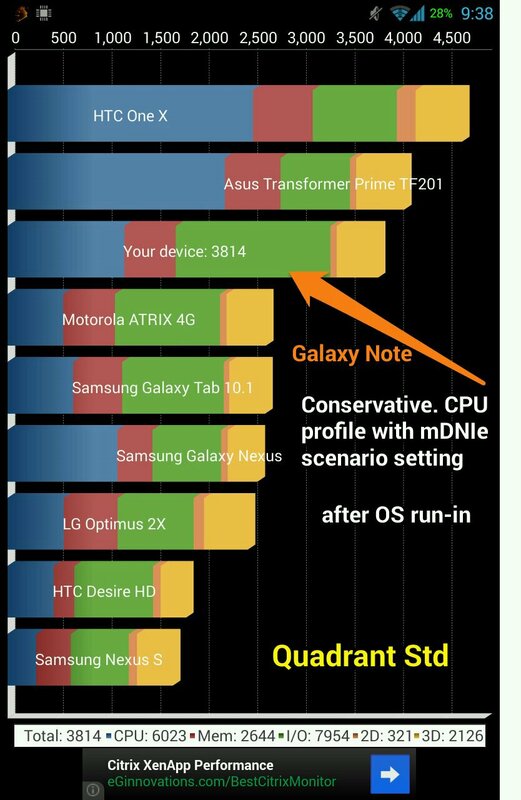 I am also trying out this app Tegrak Overclock which could increase the Galaxy Note’s CPU to 1.6 Ghz from 1.4 Ghz. For more sophisticated user you may also install the CPU TUNER (root required ), in which you can fine-tune CPU Kernel governor profiles that will extend phone battery time. I will continue to try out my Rooted phone with more exciting apps… As a SuperUser! Up to this moment, I am very happy that I managed to uninstalled “loads” of manufacturer bloatware (>3 GB) from my phone’s internal storage! And free up the phone’s memory space. Before Root, there’s no way that I could do this.